A product of Christian Education himself, Dr. Westney helped mold the lives of many young people during his career in the Seventh-day Adventist church as a Dean of Men at West Indian Training College and Caribbean Training College, Youth Director in the Allegheny West Conference, the seventh Principal of Pine Forge Academy, and as Associate Director of Education for the Columbia Union Conference. 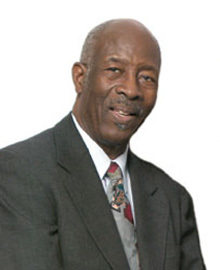 Dr. Adrian T. Westney Sr. was a pastor, educator, and administrator who tirelessly served in the Seventh-day Adventist church for over 50 years. Prior to his death in 2009, Dr. Westney stated his desire to have a mechanism created that would channel funds specifically to students desiring a Christian education. To meet this need, a committee of family and friends assembled to prayerfully begin fulfilling this vision. In October 2012, the Dr. Adrian T. Westney Sr. Scholarship Fund (ATWSF) Inc. obtained status as a 501 (c)(3) nonprofit corporation with the mission to provide financial support to students deserving a Seventh-Day Adventist Christian Education so that they can acquire the skills, training, and certification to work in their chosen fields of interest, to give exemplary service in their community and to realize their dreams for a life that positively impacts the world. Our core values are Loyalty, Truth, Education, Service, Character and Salvation. Would you like to support Christian Education? Donate today and give a child a dream education.